OSHA is having a Stand Down week in the name of national safety. Why? If you have to ask then wake up and smell the RF! There have been so many fatalities in our industry this year we all need to do something. I think this can be a good thing if we take it seriously. So what is this and what does it mean? I am going to give you my thoughts and then go over the notes from the website. I would like to put my 2 cents in here. I think in the wireless communications industry we should respect this gesture by looking at what we can do better. Now that the FCC auctions off bandwidth for billions, the carriers feel they have to make that money back quickly. Remember that they are footing the bill for all of this. It puts pressure across the board because technology is changing so rapidly that by the time OEMs put out a new base station, it is outdated within 3 years. However, that is not why we are losing lives. There is a whole string of reasons we are losing people. From poor planning and leadership to carelessness, beginning to end, on all related work across the board, steel work to communications deployment. I know the carriers are taking it seriously now that OSHA is going to look at contracts. It’s not just carrier deployments, it is more than that, look at the accidents this year. Change is coming. It is a good time for everyone to stand down and look at their processes and leadership. This will start with the end customer and flow through to the climber to the final QC inspector signing off on the project. Everyone in between will have a responsibility to do their part. This is why the new ways are coming. Tower work is going to change for the better. Oh, the physical work may be the same, but the process and checks and balances will be looked at, documented, and scrutinized. This includes the tower climber, the project manager, the turf vendor, the competent person on site, the tower owner, the inspectors, the customer, and the OEMs providing the hardware to be hung on the tower. It takes a team to be successful but it only takes one careless idiot to screw it up for everybody. That idiot could be anyone in between. In most accidents each individual is looked at but now the leadership is going to be questioned on more than just the incident. The investigations are going to be broadened. I hope they happen quicker because I think OSHA is too slow in reporting results. Investigations should be timely for the sake of the families and the industry. Towers need to be strengthened to handle all of the new remote radio heads that will be added to the towers. This is an overall change. There will be an explosion of hardware on the tower now that bandwidth is king. The frequencies are all over the place, it is hard to have one coax handle them all. You know what can handle them all? Fiber! So fiber will go up the tower to the radio. Apparently there will be less and less hardware in the shelter and more and more on the tower. 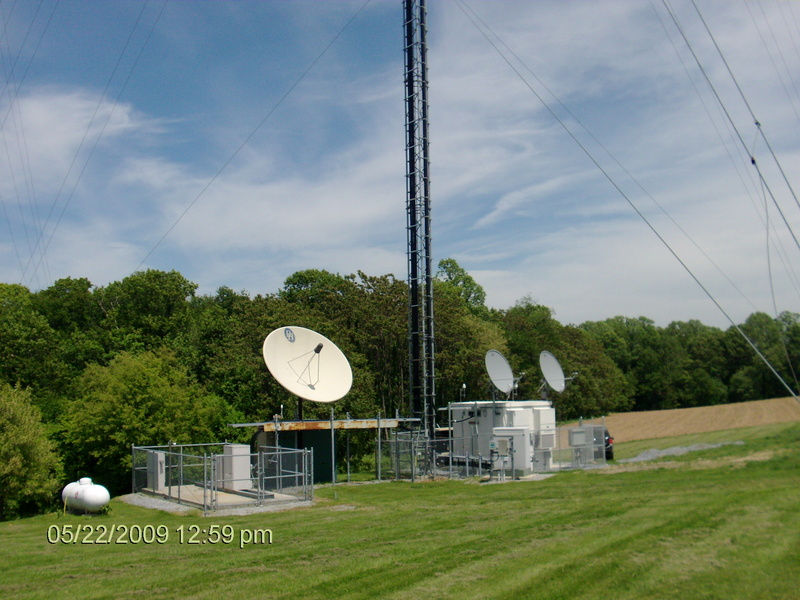 Less and less coax runs and more and more fiber runs. Power will be run up the tower with the fiber, hence the hybriflex cables. Towers will be expected hold more and more weight. They will need to be stronger to hold the weight in the wind with all of the ice. Loading will be taken seriously and removing unused equipment or microwave links will be key in lightening the tower’s load. Hurricanes will still affect us but we expect the tower to survive a hurricane, even a tornado, or any disaster nature throws at it because we need to have our phones, right? 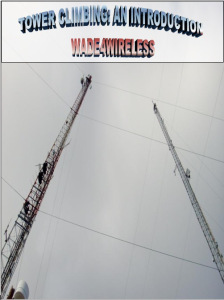 So if AT&T continues with TCAP, Tower Crew Augmentation Program, (thank you Wireless Estimator http://www.wirelessestimator.com/t_content.cfm?pagename=ATandT%20TCAP%20Program), then maybe things will change. I think the way they do business may change, it will be hard to bury the climbers down to the 4th subcontractor. Let’s face it, they need to research the tower crews now, they can’t just shluff it off and point the finger down. We all know that crap runs downhill but now it’s time for the investigations to look at the big picture. What will this TCAP look like? Well, it may use more cranes with man baskets to do the attachments and hanging equipment up the tower. At least where you can get a crane to the tower. It may mean that the crews need to be vetted, approved, and qualified by the carrier themselves. It may mean that they realize that the structural will need to be completed accurately and understood so that the crew that beefs up the tower properly. 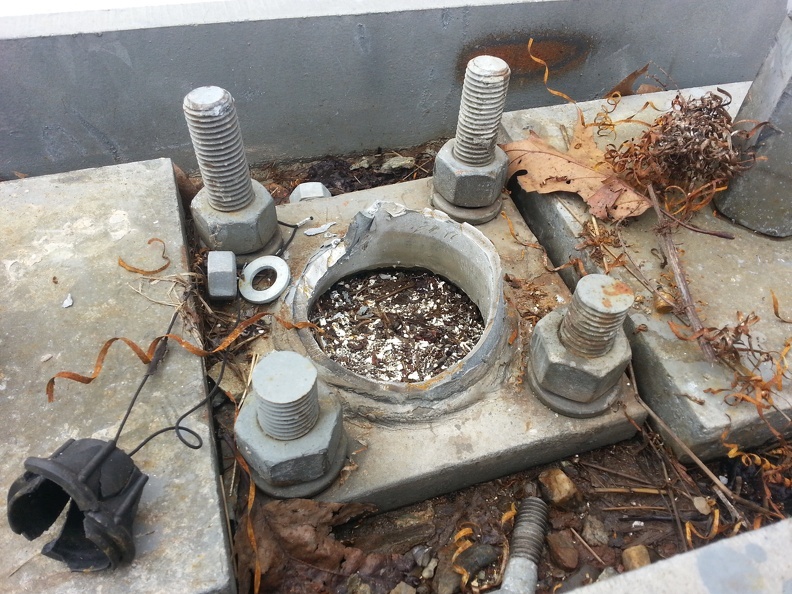 This structural crew may not be the same crew that hangs the equipment because structural upgrades are a specialty. There should be a qualified crew that specializes in that work. We are at the point where each crew should have a specialty. Why is AT&T doing this? Maybe they want to make changes before OSHA points any fingers at them. They have people responsible for safety, so they need to be sure they have people dedicated to looking at field safety for their people, their contractors, and their deployments. Now that the tower industry is getting some recognition for their work and the fallen are being brought to the mainstream news, carriers care. Back to the OSHA stand down week. The week selected is June 2 to 6 in 2014. It is a voluntary event for employers to give them a chance to talk directly to the employees about Fall Hazards and Fall Prevention. This should happen more than once a year but I think the message here is to remind companies how important it is. If you read the page, they want you to focus the toolbox talk about safety. They are looking for all of their partners to endorse this, they mention NIOSH, ASSE, CPWR, and OTI. I don’t see NATE on the list but I am sure they would support this. If you want to send them a message, then send it to oshastanddown@dol.gov. Let’s have a tower safety week. Work doesn’t have to stop but take some time to look over the ways you could make the job better and safer. Look over what you can contribute to the processes that your company has in place. The nest ideas for this usually come from the front line and feed their way backwards to management. You have an opportunity here to give good input. Talk it over with your peers and see what they say. Offer ideas to help one another. If you feel they won’t listen then write me and maybe someone else will listen. Here are the suggestions for a successful stand down. Think about asking all those you work with to join you, subcontractors, owners, architects, engineer, or others. They missed climbers and field engineers! Point out the types of falls that could happen. Now they talk about the construction hazards, but let me point out the tower hazards like tie off 100% of the time, prepare for tower hazards you can see, be prepared to pull a partner off the tower, have the first aid kit ready, have the safety book ready so you can call 911 with clear direction to the site, be aware of the weather for the day, look for animals and insects, look for birds and bats, look for hazards on the ground, be aware of your surroundings like power lines or chimneys or chemicals, and so on. Develop presentations that will meet your needs that will help your people, something that your workers can relate to. Decide not only to hold the stand down, but how long and what to cover and come up with a plan. Hold the stand down, educate, iterate, document. Follow up, not the next say, but the next week, the next month and every month after that. Now that you’ve looked that over take some time to look over the information they offer in the resources link below. Here is a cool article about Vision Wireless employees. Hey, reach out to me! By the way, I have another book coming out for you that will be an aid for the field worker. I hope it helps you in your day-to-day tasks. It should be out in a few weeks. I got a book for all of you that are thinking about making a career of this. My experience can be your gain!. If you want it click for: Kindle or PDF Credit Card or PDF PayPal or Smashwords! 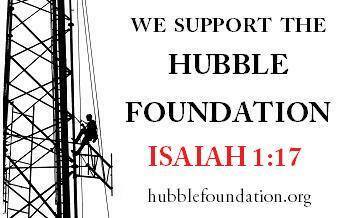 Help those who help the fallen, Hubble Foundations! Next Man falls 30′ with FAA tower that falls in Corpus Christi! 1. The tower industry is a dangerous industry…period! That is why it pays so well. And although it is dangerous, it is still less dangerous than many other low paying industries like mining, fishing, convenience store clerk etc. Just because a few monkeys fall from a tree is no cause for alarm. Stop coddling grown men who have made grown-up decisions. If you increase levels of safety (and thereby lower productivity and increase expenses) then the worker should take a equal negative hit on their compensation. 2. The caterwauling over safety is just a precursor to the unionization of the tower industry. This of course means that any “advocate” for tower safety is merely a commie union organizer who votes Democrat. This also means that this issue is all about politics. Do not fall for it. 3. The very last thing we need is more government regulation/intrusion into an already over-regulated industry. What we need is massive de-regulation. Well, what we need to do is figure out why we have so many deaths. If we could stop the accidents, hopefully by building an atmosphere of safe thinking, then it would not be an issue. I think if the industry is not going to take care of itself, we need help from someone or something. I don’t want to write off the problems as the status quo, I want to stop the problems. If the climbers need to unionize and I saw that as a way to stop, or at least minimize deaths in our industry, then I would welcome it. The #1 goal is to save lives. If you have a better idea, then I would like to hear it. I believe after conducting approx 20 tower fall death investigations that tower climbers typically have no indoctrinated procedure with properly selected equipment to remain 100% attached and little understanding to use equipment that has no failure modes on the particular tower being worked on. Owners should ensure each tower has an appropriate fall arrest system installed before the contractor goes to work. Why cannot this be done under the control of the contractor? Yes, there needs to be adequate push back by the contractor. Show Dr. Michael’s recent letter to the tower industry to the next owner! Interesting article in ASSE’s Professional Safety Journal in April 2014 p32 about training such that the worker must feel the personal risk (of the hazard of falling). Normally the worker feels experientially under stress but he must be taught to see him or herself logically address the hazard through stories. From my 40 year experience, those who see a fall actually occurring or after it ends, a high majority never come back to work in the industry. A blend of vision and logic is needed before the date with destiny occurs. I hear that most people do leave after they see a fall and never come back. Are there any statistics that back that up? Is there anything in writing that I can share? Thank you for this article. I find it very interesting.